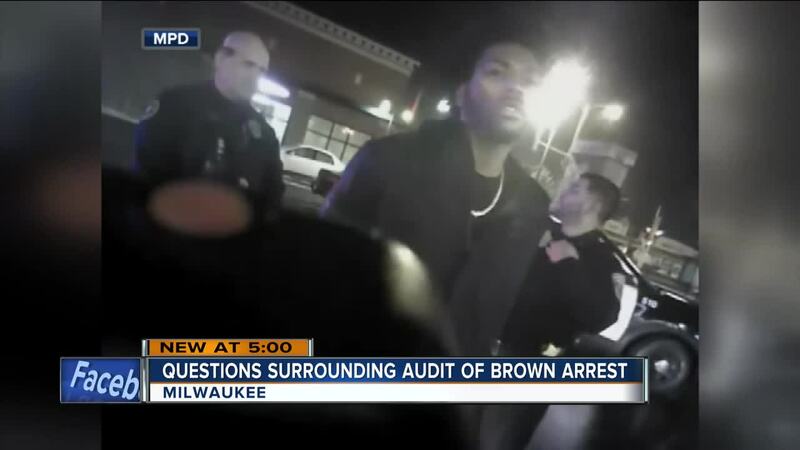 Milwaukee's Fire and Police Commission has postponed the scheduled presentation of an MPD audit into the arrest and tasing of Bucks player Sterling Brown. Chief Alfonso Morales was supposed to present the audit at a 6 p.m. meeting of the commission Thursday night. However, La Keisha Butler, Executive Director of the Fire and Police Commission, said the presentation has been pushed back to allow Morales and the department to further investigate the Sterling Brown incident. In a federal lawsuit filed by Brown and his attorney this week, the 23-year old pro athlete accuses the City, the Chief, and eight MPD employees of violating his civil rights. The 40-page lawsuit contains screenshots of several Facebook posts that Brown's attorney alleges came from Milwaukee Police Officer Erik Andrade's personal page. In one post, Andrade wrote, "Nice meeting Sterling Brown of the Milwaukee Bucks at work this morning! Lol #FearTheDeer." Months later, after NBA player J.R. Smith made a critical mistake during game one of the NBA finals, Andrade is accused of writing, "I hope JR Smith double parks in Walgreens handicap Parkin spots when he's in Milwaukee!" The officer is also accused of posting two memes Brown's attorney believes are racist. Butler said it's her understanding that Andrade has been pulled from patrol duty. "I don't think that he's on patrol," Butler said. Milwaukee Police did not reply to a request for clarification on Andrade's current status with the department. 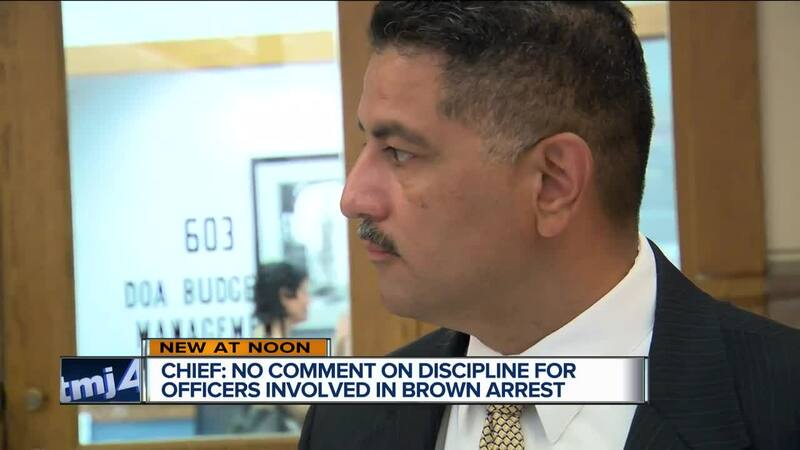 Butler said that Andrade, who was ordered to undergo re-training as part of the first round of discipline handed out to the officers and sergeants involved in the Brown incident, is now under further investigation by MPD due to the social media posts. "Those Facebook posts, I'm not sure the police department was fully aware of those before they were made public in the complaint," Butler said. "It's my understanding the Chief wants to look into those further." She said, should Morales decide to discipline Andrade further, the officer would have the ability to appeal the decision to the FPC. So Butler said the commission decided it was in the interest of objectivity for the commissioners to wait until after any possible review is finished before they take in the presentation of the audit. "We are postponing the delivery of the audit. We're not canceling it," Butler said. "This is just to allow the Chief to do the investigation and to make any additional disciplinary decisions he has to make." Butler said commissioners on Thursday night are not going to be commenting on the Brown arrest during the meeting. However, she said civilians who wish to speak during the public comment period of the meeting are free to discuss the Sterling Brown incident. At City Hall Thursday morning, Morales indicated he planned to answer questions from the media after the evening's FPC meeting concluded. Milwaukee Police have not said if the Chief still plans to make himself available following the meeting now that the audit has been pulled from the agenda. Butler said it's expected either Morales or a designee from MPD would still be at Thursday's meeting.